How do leaders form, sustain, and transmit moral commitments? Under what conditions are those processes most effective? What is the impact of ethics officers, codes, training programs, and similar initiatives? How do standards and practices vary across context and culture? What can we do at the individual, organizational, and societal level to foster moral leadership? Throughout the book, the contributors identify what people know, and only think they know, about the role of ethics in key decision-making positions. The essays focus on issues such as the definition and importance of moral leadership and the factors that influence its exercise, along with practical strategies for promoting ethical behavior. 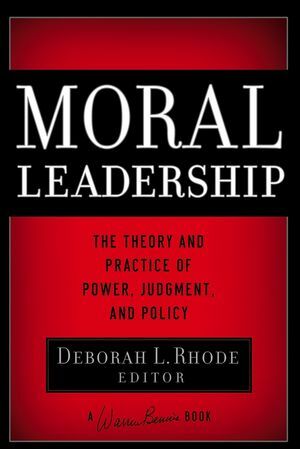 Moral Leadership addresses the dynamics of moral leadership, with particular emphasis on major obstacles that stand in its way: impaired judgment, self-interest, and power. 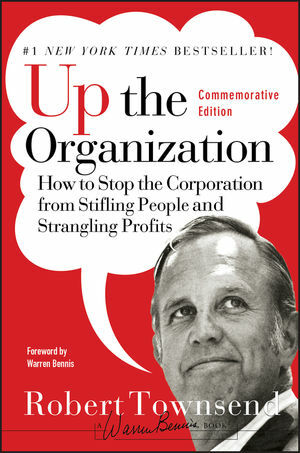 Finally, the book explores moral leadership in a variety of contexts?business and the professions, nonprofit organizations, and the international arena. Deborah L. Rhode is the Ernest W. McFarland Professor of Law and director of the Stanford Center on Ethics. She is the former director of the Keck Center on Legal Ethics and the Legal Profession at Stanford University School of Law, the former chair of the American Bar Association's Commission on Women in the Profession, and the former president of the Association of American Law Schools. 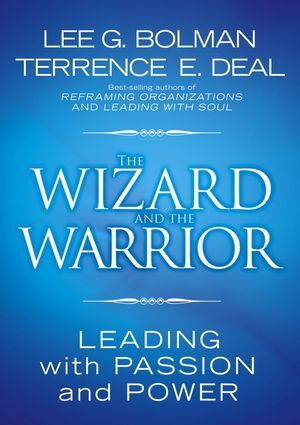 Introduction: Where Is the Leadership in Moral Leadership? (Deborah L. Rhode). 1. Making Sense of Moral Meltdowns (David Luban). 2. Three Practical Challenges of Moral Leadership (Joshua Margolis, Andrew Molinsky). 3. Ethical Judgment and Moral Leadership: Three Barriers (David Messick). 4. Morals for Public Officials (Russell Hardin). Part Two: The Psychology of Power. 5. The Psychology of Power: To the Person? To the Situation? To the System? (Philip G. Zimbardo). 6. Taming Power (David G. Winter). 7. Power and Moral Leadership (Dacher Keltner, Carrie A. Langner, Maria Logli Allison). Part Three: Self-Sacrifice and Self-Interest. 8. Orchestrating Prosocial Motives (C. Daniel Batson). 9. Self-Sacrifice and Self-Interest: Do Ethical Values Shape Behavior in Organizational Settings? (Tom R. Tyler). Part Four: Serving the Public Through the Public Sector: Accountability of Nonprofit Organizations. 10. Strategic Philanthropy and Its Malcontents (Paul Brest). 11. Ethics and Philanthropy (Bruce Sievers). Part Five: Moral Leadership: Perspectives and Implications. 12. Exercising Moral Courage: A Developmental Agenda (Linda A. Hill). 13. Perspectives on Global Moral Leadership (Kirk O. Hanson). HIGH PROFILE EDITOR: Deborah Rhode speaks frequently to a range of audiences on professional ethics, leadership, and gender issues. The audiences range from 75 and 300 people and she speaks between 30 to 40 times. Rhode also has media exposure and training and has contacts at major newspapers (e.g. New York Times, LA Times, and San Francisco Chronicle), at National Public Radio, and at a few national magazines (e.g. The Nation, the American Bar Association Journal). She also writes a column six to ten times a year for the National Law Journal and serve on its editorial board. HOT PROFESSIONAL/TEXT TOPIC: Sales of textbook and professional books in this area are very strong. TOP-TIER CONTRIBUTORS: All contributors are very well-known in the areas of law, leadership and ethics and all are faculty at either Stanford or Harvard. In addition, contributors will use book in their classes. Rhode will use the book in two of her classess--Professional Ethics (35-125 students) and Gender, Law and Policy (40-60 students).